Manuel Antonio National Park is Costa Rica’s number one tourist attraction due to its incredible beauty and amazing wildlife. In fact, in Forbes listed Manuel Antonio National Park as one of the twelve most beautiful parks in the world. The best news? The Park is only one hour from Las Villas de San Buenas! Incredible! Las Villas de San Buenas clients Steve and Alana Firlit took and shared this photograph from Manuel Antonio National Park. In addition to being close, driving from Las Villas de San Buenas to Manuel Antonio is easy! Simply take a right, head north from San Buenaventura onto Highway 34/Costanera Highway, drive approximately one hour and take left into Quepos. From Quepos, it is a short drive to the actual entrance to Manuel Antonio National Park. We often have guests and residents who will take a day trip to the park. It’s easy to leave by 7 am and be back at Las Villas de San Buenas by 1 pm. 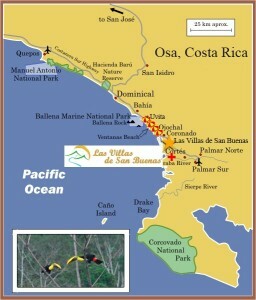 Manuel Antonio National park was established in 1972 and is approximately 4,900 acres (1,984 hectares) in size. Manuel Antonio National Park is one of the jewels of Costa Rica’s eco-tourism. The best way to see and experience the park is to hire a trained guide at the park’s entrance, and they’ll try and find sloths, monkeys and dozens of birds to show you. Once you’re done with the tour of Manuel Antonio National Park, take some time to enjoy Quepos (the town adjacent to the park). Quepos has a large beach where you can enjoy the waves, go for a walk or simply relax. Adjacent to the beach you will find ‘non-pushy’ vendors (in fact, they’re typically very laid back – Pura Vida!) who have handmade jewelry, hammocks and t-shirts for sale. Quepos also has a newly built marina and it’s a great place to end the day overlooking the bay and enjoying an Imperial or fruit juice. Please contact us if you and/or your group would like more information about Manuel Antonio National Park or any other national parks close to Las Villas de San Buenas. Costa Rica is world renown for its high quality and affordable healthcare. Did you know that Costa Rican’s life expectancy is almost equal to that of the United States and of Canada? Additionally, 14% of all tourists receive some form of medical work done during their time in Costa Rica. The two most common types of health care that are performed are dental work and plastic surgery. Las Villas de San Buenas is located five minutes from one of the newest and most state of the art hospitals in Costa Rica.This allows our residents to easily take advantage of some of the best and most affordable Costa Rica healthcare. For all the details click here. Many of the doctors, nurses and administrators are fully fluent in both Spanish and English, so communicating is never a problem. Costa Rica, Real Estate, News, Travel: 2012 New International Airport in Southern Osa Costa Rica. Recently there has been a lot of talk about the new international airport in the southern zone of Costa Rica. This has been going on since I first visited in March 2005 when the broker we used to purchase what is now Osa Mountain Village alluded to a new airport. It is one of the most talked about issues when dealing with prospective real estate clients. As a rule, I don’t bring up the airport unless a client specifically asks about it. I believe that the Osa region is absolutely gorgeous and amazing the way it currently is (beaches, wildlife, ziplines, etc) – any purchasing or not because of an airport doesn’t understand what Osa is about. Having said that, if the new airport is approved, and when the “Golden Shovel” ceremony takes place to break ground, I would guess prices for land will go up at least 20% overnight. This will be a real ‘game-changer’ in terms of development in Osa. Here’s an update from Costa Rica’s business newspaper, El Financiero, translation by Google. 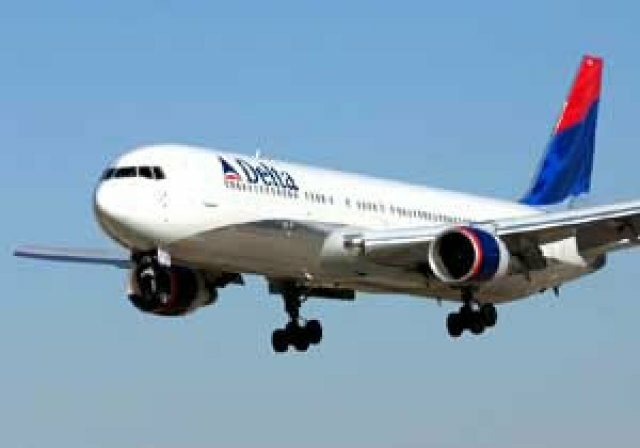 It states that ICAO (Government Aviation Agency) will be accepting bids on a final environmental impact study in April 2012 for the $60 million project. The studies are to be completed by the end of this year. Once that is completed it will be a “Go or no-go” decision. The great news is that all of us will know within nine months what will happen in regards to the airport. 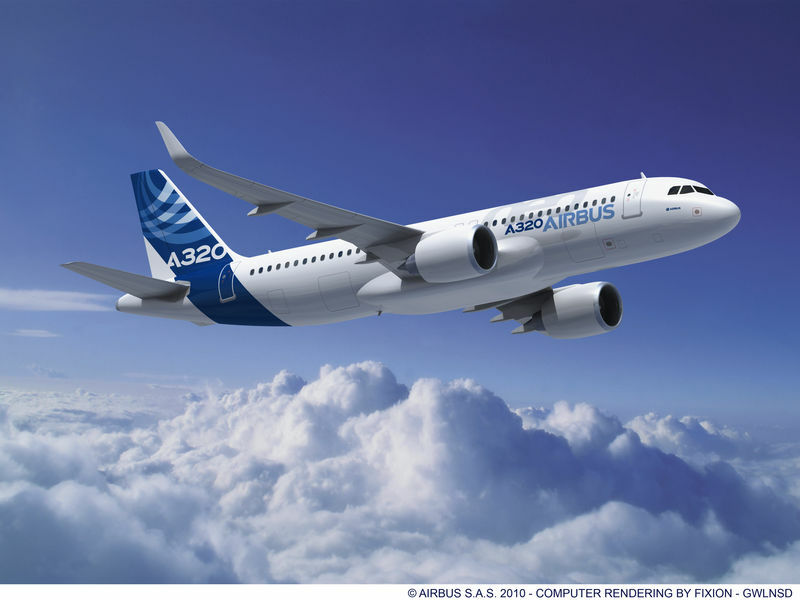 The runway will be large enough to land an Airbus A320 which can fly between 1,700-6,500 nautical miles, depending on the model and carry approximately 150 passengers. With that range, most cities from North America (Miami, Atlanta, Los Angeles) will be able to fly direct to the new proposed airport. This will be a great benefit for those traveling to Osa. Currently travelers must usually take a day on the front end of a trip and a day on the back end of a trip to ensure they are in San Jose on time (3.5 hour drive from Palmar Sur). 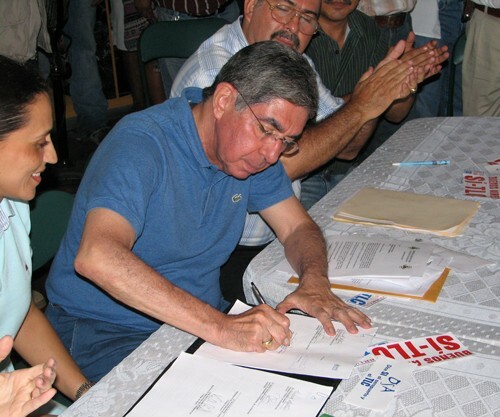 In mid-2008, then-President Oscar Arias announced in a ceremony in Palmar Norte that the airport was moving forward. After the October 2008 TLC/CAFTA vote took place, and it showed that Osa as whole voted against TLC, it is rumored President Arias (who was in favor the measure that passed) withheld his support of the airport and instead shifted his focus to helping those who helped him get TLC passed. Therefore, he worked to help secure the financing and permits for the Limon port expansion. 2010: Rumors begin spreading that the existing Palmar Sur location will be used and the runway lengthened to accommodate larger planes. 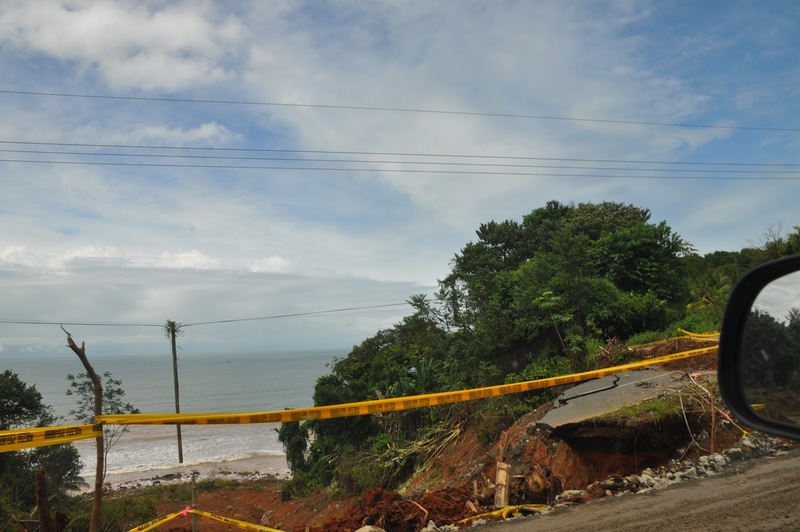 In November 2010, Tropical Storm Tomas (see photo) hits Costa Rica causing over $150 million worth of damage in Osa. Funds that were reportedly set aside for infrastructure improvements for the airport are now used to fix the Pan-American and Costanera Highway. A new airport will obviously bring many changes – some good – some not. The government is keenly aware of the pitfalls of what happened in Guanacaste and, previously, in the Jaco region of development (over development, unenforced laws, etc), and will be working closely to ensure the environment is impacted as minimally as possible. As with most major infrastructure projects, this project has taken time – more than originally thought – however, I do believe we will see the airport project approved and ground to be broken in the next couple of years. Let’s all see what happens. I’ll keep you updated as I hear anything. International flights will be coming to the Southern zone. Exact time is unkown. The project to build an international airport in the southern zone got a boost over the weekend when President Laura Chinchilla declared the concept to be in the public interest. That technical designation put a high priority on the $35 million project, which will start in 2012 to put in the bare bones of an international airport. Until then there are more studies and surveys. Significant planning and environmental work already has been done. For example, officials can say with certainty that the land proposed for the airport does not contain any of the famous pre-Columbian stone spheres of other important sites. An archaeological survey already has been completed. According to plans reviewed Saturday, the airport will have a runway from 2,000 to 2,600 meters, some 6,560 to 8,530 feet. The site already has been selected. It is fincas 9 and 10 in the Valle de Diquis in Sierpe de Osa. Officials also plan on getting two adjacent fincas for eventual expansion. Finca 9 is the property of the Instituto Nacional de Fomento Cooperativo, a public agency. It contains 233 hectares (about 576 acres). Finca 10 contains 261 hectares (645 acres). This is enough land for the runway, ramps, taxiways, a passenger terminal, parking and space for a fixed base operator to handle private aviation. Also needed will be a fire station, a control tower, navigation and landing systems and space for customs and immigration. The money for this project will come from the Dirección General de Aviación Civil, the national budget and an allocation the Ministerio de Obras Públicas y Transportes received from the International Civil Aviation Organization, officials said. Ms. Chinchilla said that the airport is important to generate employment and combat poverty. Real estate operators and tourism agencies are solidly in favor of the project. Ms. Chinchilla made a tour of the southern zone over the weekend and attended a meeting of the Golfito municipal council. There central government officials agreed to help the city with its tourism promotion. NOTE: When the project is complete, owners in The Village of San Buenas will only be 30 minutes from their home. Now is a great time to purchase. This is the first official update regarding the international airport since former President Oscar Arias discussed it in July 2009.